On our website, we have priced out many Standard Size Metal Carports, Fully Enclosed Metal Buildings, Carport & Storage Combo Units. Our product line includes a wide range of steel and WOOD STORAGE SHEDS , outdoor storage solutions, including accessories, to meet the small and large storage needs of the end-user. From storage sheds and wooden building and utility buildings to deck/patio storage and marine storage to carports and accessories, we offer quality and innovation in the outdoor storage category. Steel offers strength, durability, high quality, long-term value, and security. 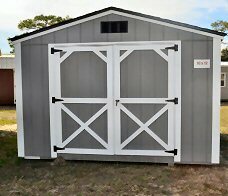 At Holton Buildings, our sheds, storage chests, wood storage buildings and other outdoor storage products are made of long-lasting, galvanized steel with three distinct finishes to protect against rot, insects, and extreme weather conditions. When delivering and installing your shed, our goal is to ensure that your installation is hassle-free with minimal disruption to you and your family. Be sure to review our shed pre-delivery guidelines, and contact us with any questions or concerns.If we work together, your shed installation will only take 2-3 hours! DO YOU NEED A PLACE FOR STORAGE, BUT DON’T WANT THE STANDARD LOOK OF REGULAR STORAGE SHED? 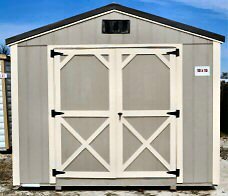 WE OFFER WOOD STORAGE SHEDS AS WELL, THE LEXINGTON SERIES. WITH A MORE STYLISH FEEL, THEY LOOK GOOD IN ANY BACKYARD. 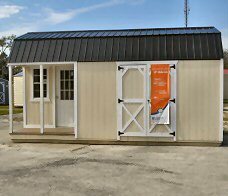 OUR SHEDS ARE MADE WITH PRESSURE TREATED FLOORS, AND T1-11, CEDAR, LP SIDING AND WE OFFER RENT TO OWN FOR ONLY $98 DOWN. DO YOU NEED A PLACE FOR STORAGE, BUT DON’T WANT THE STANDARD LOOK OF REGULAR STORAGE SHED? 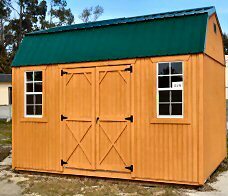 WE OFFER WOOD SHEDS AS WELL, THE LEXINGTON SERIES. WITH A MORE STYLISH FEEL, THEY LOOK GOOD IN ANY BACKYARD. 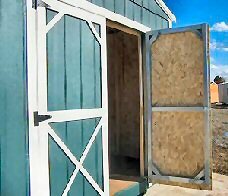 OUR SHEDS ARE MADE WITH PRESSURE TREATED FLOORS, AND T1-11, CEDAR, LP SIDING.